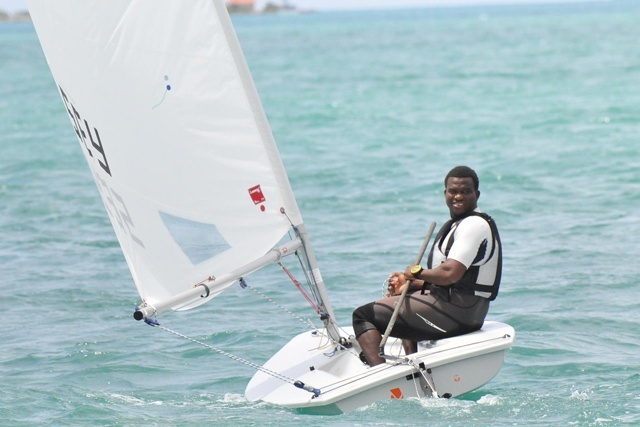 (Seychelles News Agency) - Seychellois sailor Allan Julie won the gold medal in the laser standard category in the African championship which took place in Maputo, Mozambique. Julie told SNA on Wednesday that he is happy with the results, especially as he was competing with much younger sailors. “I am happy firstly because of my age. I still was able to come out first which showed I have still a lot to give,” said Julie. Seven countries including Seychelles, a group of 115 islands in the western Indian Ocean, took part in the African Sailing championship which involved three types of craft: Laser 420, Laser Radial and Laser 4.7. Since 2016, Julie, who has been sailing for 12 years, has been competing in the Finn category using a single-handed heavyweight dinghy. He said the competition was tough. “The participants in my category had just come back from the Olympic Games and this year I have not really competed in this category. I had to really fight to win,” Julie said. In terms of preparation, Julie said he only worked on his physical conditions and took part in events such as the regional sailing competition in Seychelles last August. Julie is the only athlete from Seychelles who has qualified five times for the Olympic Games. Another participant from Seychelles, Chantal Hoffman, won a silver medal in the laser 4.7 female category. “For me this is a big achievement for the three years I have been sailing. I have come really far,” Hoffman told SNA. Alcindor said that their participating in the championship shows that although Seychelles has high performing sailors, other countries are also rapidly improving so sailors still need to work hard to win any competition. The association chair said with the closing of the sailing season, the association will now work and finalise its local and international calendar for 2017.